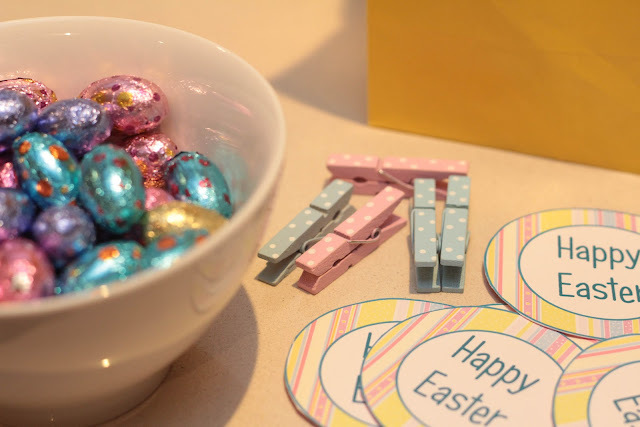 Pin It Good Friday in our family is the official start of the Easter festivities and it see's us all gathering together to stuff our faces full of seafood, drink plenty of wine (well for the adults anyway), paint some Easter Eggs and just generally celebrate each others company and our blessings. The painting of the Easter Eggs is a tradition my mum started with us many many years ago, and it is gorgeous to see the already massive basket of hand painted eggs be added to by my children and my niece and nephew. I promise I'll show you some photos after this weekend as you will get a good giggle at some of their handiwork. 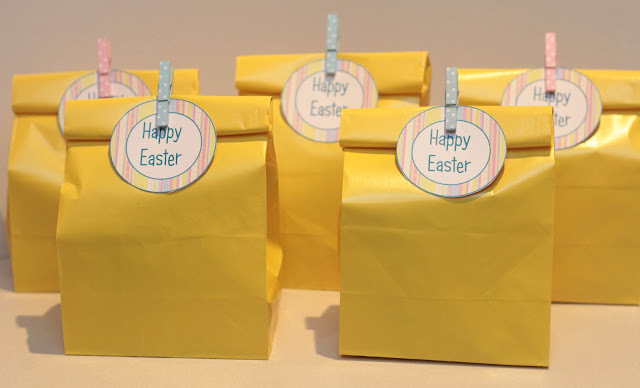 This year we are hosting Good Friday at Casa De Hiccups, and I wanted to make some little gift bags to place at the kid's seats at the table. 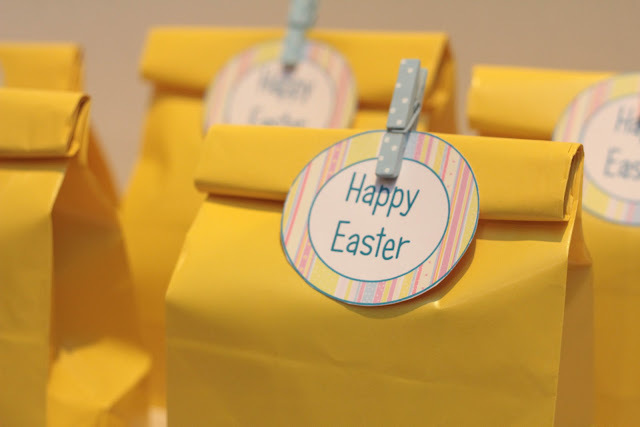 They are just small little gifts but packed to the brim full of love. Awwwwww! 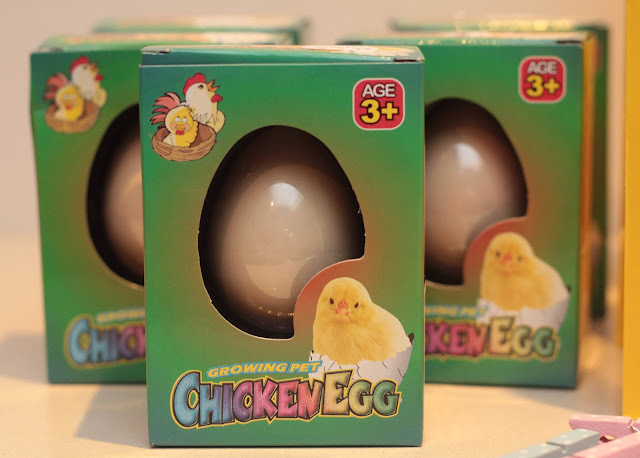 I stumbled across these gorgeous little Chicken Eggs at a discount store last week. You soak them in a glass of water and after 48 hours the eggs hatch and you have little chickens. 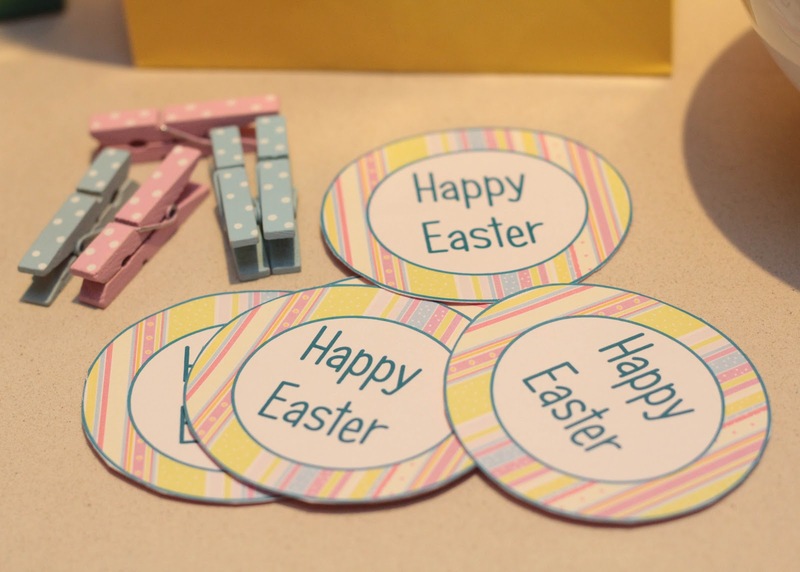 Soooo cute and perfect for them to wake up to on Easter Sunday morning. 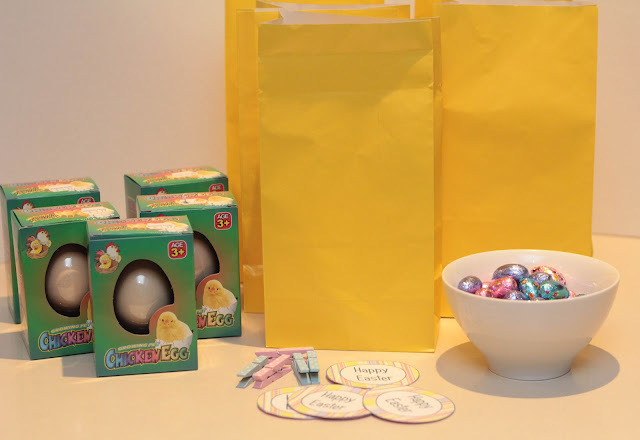 I gathered up some party supplies including the yellow paper gift bags, some little wooden pegs from Bed Bath and Table and a bowl full of mini chocolate eggs. 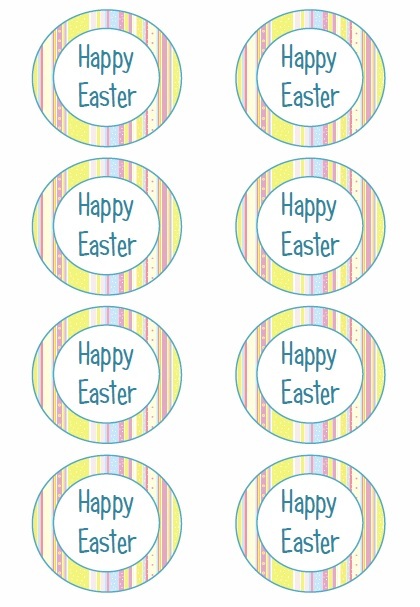 These labels were super easy to make in excel and I printed them off on paper and glued them to some cardboard. 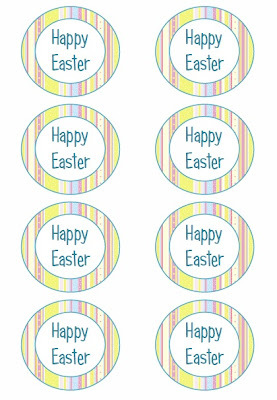 If you are interested in using them, I have attached the labels as a PDF below that you can dowlnload and print off for yourself. Then it was just a matter of putting it all together. I adore doing stuff like this and I know it is only going to be whilst the kids are little that they will really enjoy these little labors of love, so I gotta soak it all up whilst I can. That being said, my soon to be 11 year old still loves receiving these sort of surprises so I'm thinking I've got plenty of years left from the younger two as well. So there you have it. I hope you all have a wonderful and safe Easter Break and promise me that you will not for a single second feel an ounce of guilt as you fill your bellies with Chocolate Eggs - you deserve those treats as much as the kids.